Residents were invited to explore the idyllic surrounds of Ingleside Chase Reserve to celebrate Bushcare’s Major Day Out on Sunday 9 September. The Day Out began at 9am and included guided nature walks along the newly constructed walking track, tree planting and a delicious morning tea. Neil Evers of the Manly Warringah and Pittwater Aboriginal Support Group gave the Welcome to Country. This year’s Bushcare Major Day out also had an added focus as it signified the beginning of an overall project for the Ingleside Chase Reserve, made possible by grant funding from the NSW Environmental Trust totalling $250,000. The grant will be used to eradicate weeds in Epworth Park and Irrawong Reserve areas, help restore Mullet Creek between Elanora Heights and Warriewood and reduce the threat of weeds and toxins to the Warriewood Wetlands and Narrabeen Lagoon. 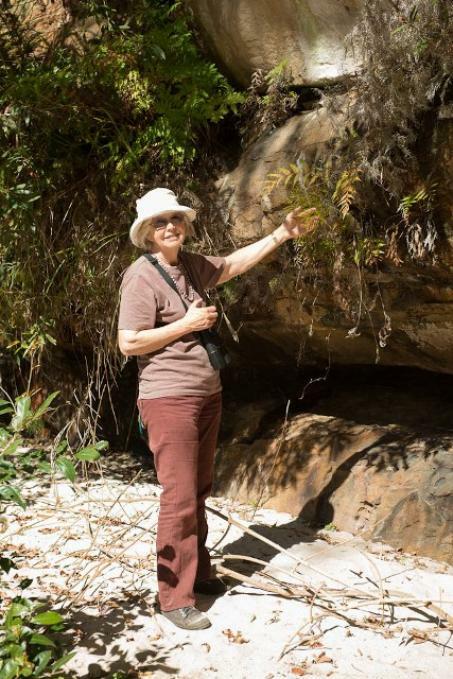 Bushcare Officer Helena Dewis said the Major Day Out is a great chance for residents to explore this little known and picturesque location near the Irrawong waterfall. “The reserve is rich in native wildlife and is habitat for rare and threatened species such as the Powerful Owl, Regent Honeyeater and Giant Burrowing Frog,” she said. “As well as the walks and planting, residents are invited to bring along weeds (or photos of weeds) they don’t know, learn what they are and how to remove them. The Council’s General Manager Mark Ferguson acknowledged the work done by the Pittwater Environmental Foundation in gaining the grant. 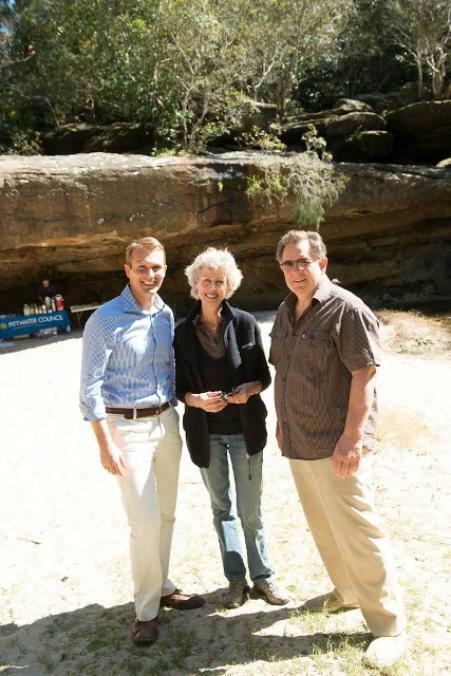 “Over the next five years, we’ll work with the Pittwater Environmental Foundation to restore the native vegetation in the reserve to the benefit of wildlife, residents and visitors to the area” he said. Have you noticed anything different in the Warriewood Wetlands over the past year? Local bushcare volunteers, together with the Australian Government, Sydney Metropolitan Catchment Management Authority and Pittwater Council have managed to control aquatic weeds in approximately 80% of the wetlands. Council’s Reserves and Recreation Manager Les Munn said the project, partially funded by the Sydney Metropolitan Catchment Management Authority, Pittwater Council and the Australian Government's ‘Caring for Our Country’, had allowed bush regenerators and aquatic weed specialists to remove such a significant amount of the wetland weeds. Mr Munn said that the bush specialists had waded through the wetlands, sometimes up to their waists in water as well as using an amphibious vehicle to remove the weeds. “They have significantly reduced the Coral tree and Ludwigia infestations that were overwhelming native vegetation,” said Mr Munn. “In addition a further 35 tonnes of Giant Egyptian Papyrus reed that was blocking Mullet Creek was also removed,” he said. Mr Munn said that people walking along the wetland boardwalks would notice more open areas with the removal of the weeds. At 26 hectares, Warriewood Wetland is the largest sandplain freshwater wetland in the northern Sydney area. The wetland is popular for birdwatchers and walkers, with a newly constructed track allowing residents to walk from Ingleside escarpment to the wetland, a distance of approximately 2km one way. “The walk takes in a variety of plant species as you progress from the sandstone woodland of the escarpment down to the rainforest and then the wetland vegetation in the Warriewood Valley,” Mr Munn said. “You are also likely to see a variety of bird life and even the occasional swamp wallaby!” added Mr Munn.